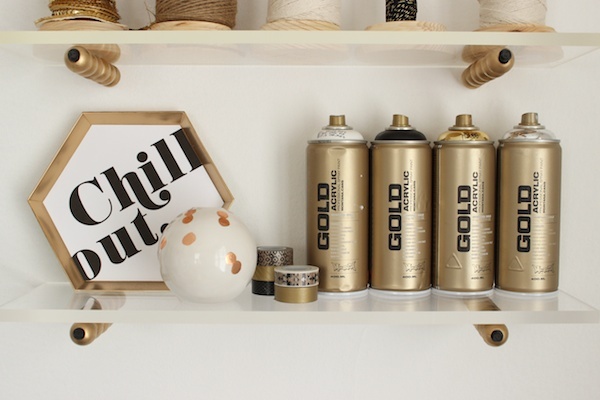 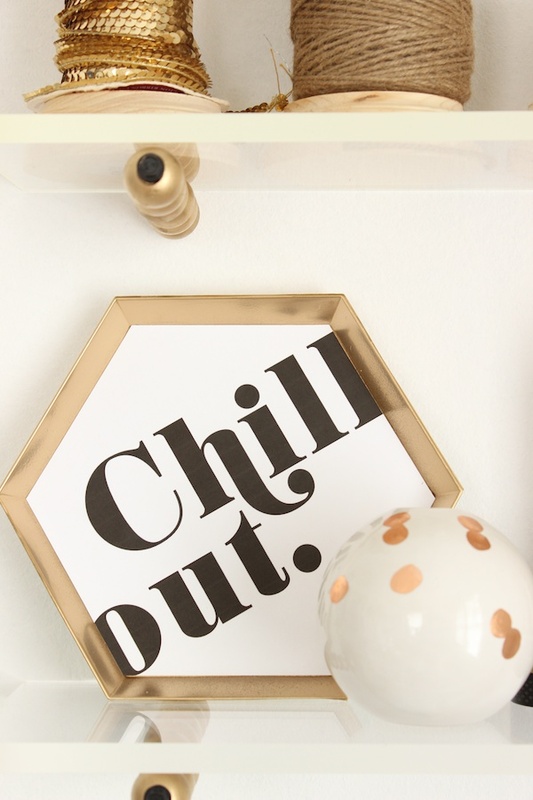 It's that time of year when we often do a little self-reflection, set goals, reassess, and think about the things we want to work on -- the perfect time to create a little inspirational project for your home or workspace! 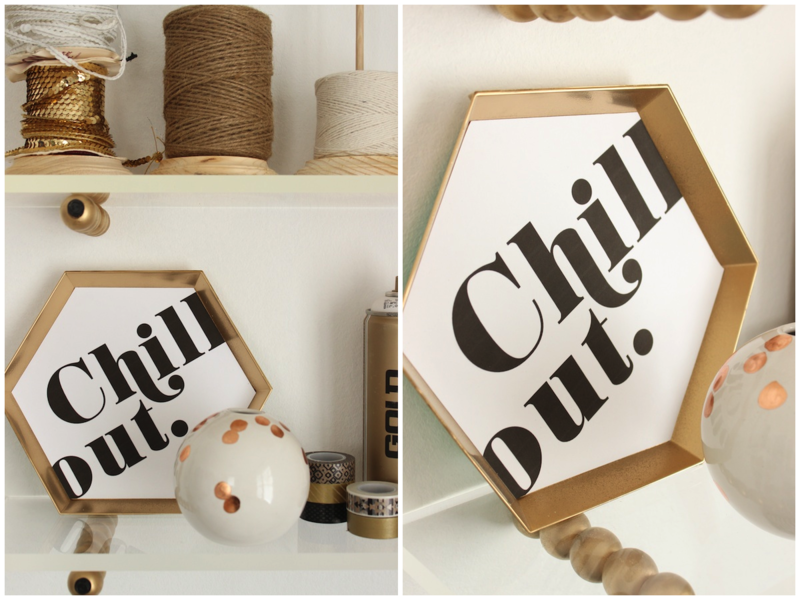 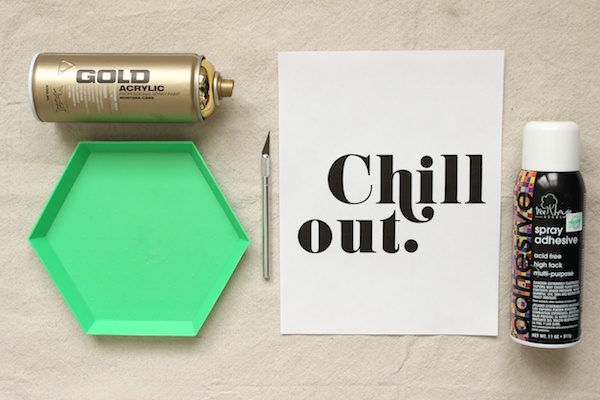 I made this little plaque for my office using a plastic tray from Target's dollar bin and my own words of inspiration (because, well, I'm a bit type A and sometimes, I just need a reminder to chill out.). 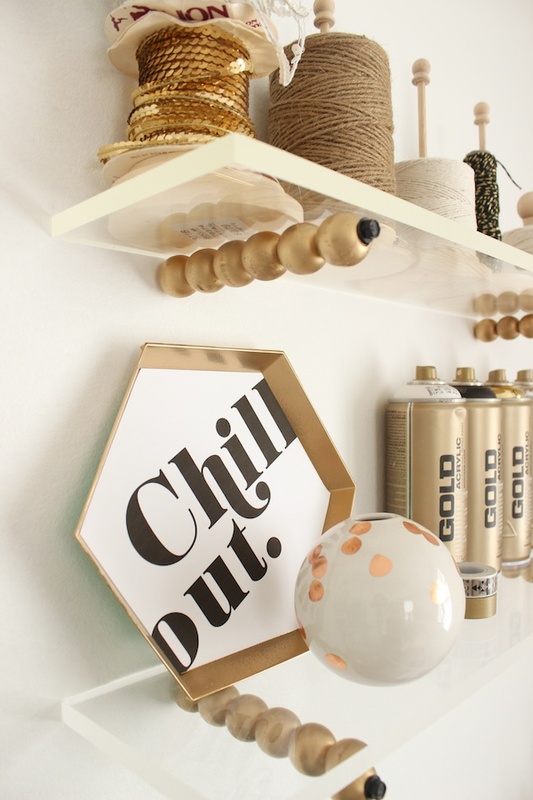 Read on for the how-to and more pics. 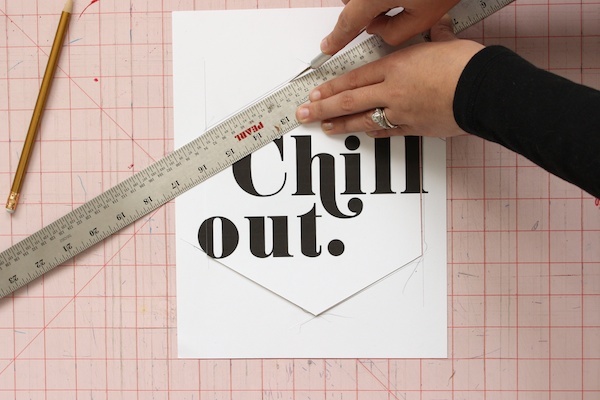 Trace the shape of the tray onto the cardstock and cut out. 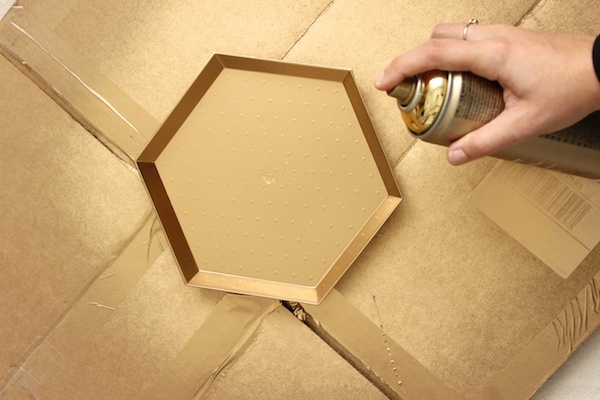 Spraypaint the edges of the plastic tray and allow to dry. 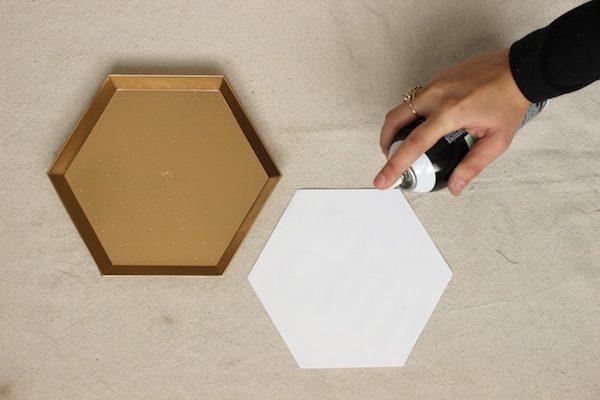 Apply spray adhesive to the back of the cardstock and place into the tray. 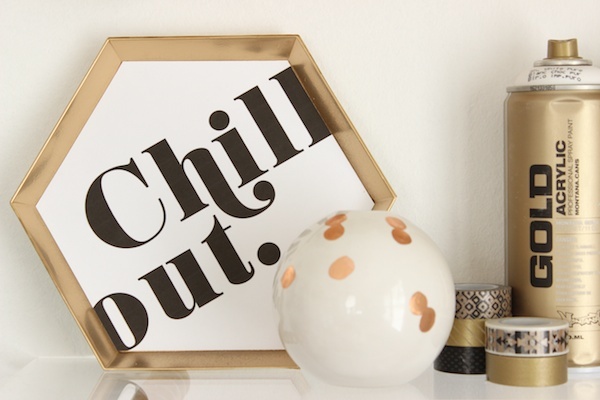 I wish so much that we had Target here in the UK, I am off to scour the charity shops for a cool tray, Love it!